Despite wage subsidies and various other government programs that provide incentives for firms to hire workers with disabilities, this group is still disadvantaged in the labor market. An IZA discussion paper by Canadian researchers Charles Bellemare, Marion Goussé, Guy Lacroix and Steeve Marchand investigates the determinants and extent of labor market discrimination toward people with physical disabilities using a large-scale field experiment. In the urban regions of Montreal and Quebec City, applications were randomly sent to 1477 private firms advertising open positions. The authors targeted positions for which paraplegia is not considered to affect productivity, such as receptionists, secretaries, computer programmers and accounting clerks. 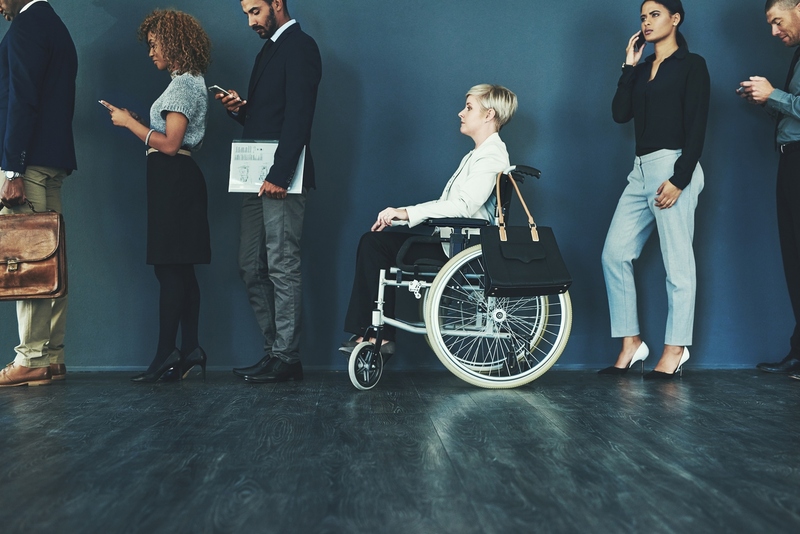 The study finds that average callback rates of disabled and non-disabled applicants are 14.4% and 7.2%, respectively, which implies that disability reduces callback rates by 50%. Interestingly, no discrimination was detected for computer programmers, the most highly skilled position covered by the experimental design. The differential does not result from accessibility constraints related to firm infrastructures. The study also shows that mentioning eligibility to a government subsidy to cover the cost of workplace adaptation does not increase callback rates. The authors estimate that a lower bound of the proportion of discriminating firms is 49.7%.